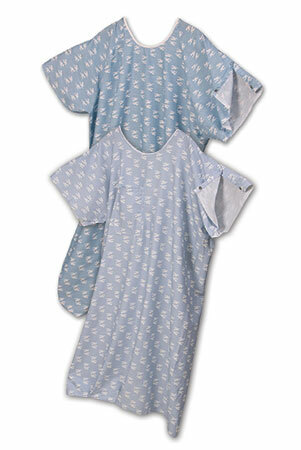 Harbor manufactures these gowns with a modest 63" sweep and 50" length on a quality twill fabric of 50% cotton and 50% polyester. These gowns offer a unique Harbor Linen design. Available with or without telemetry pocket.